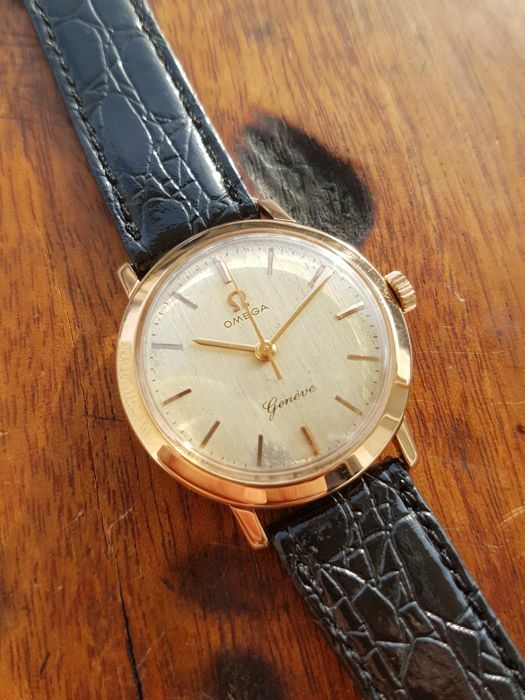 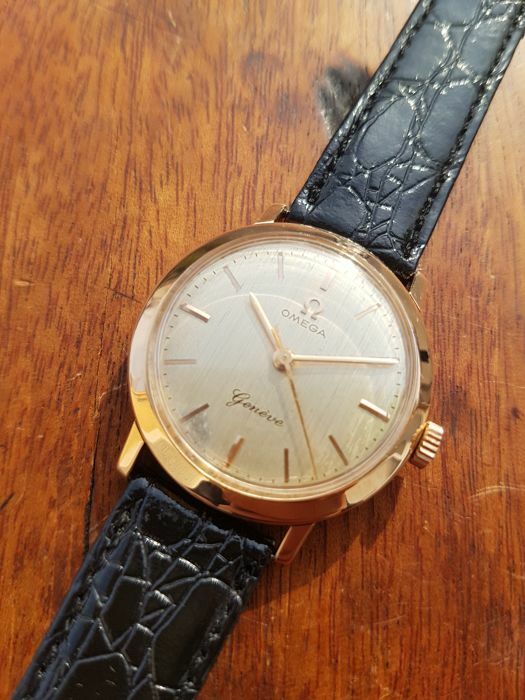 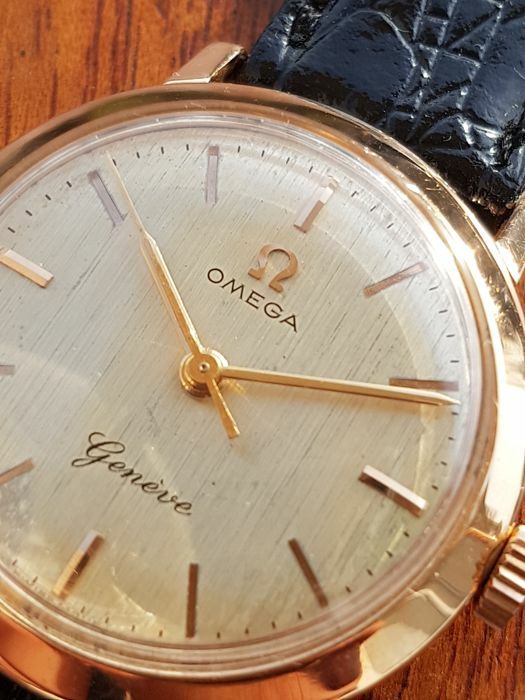 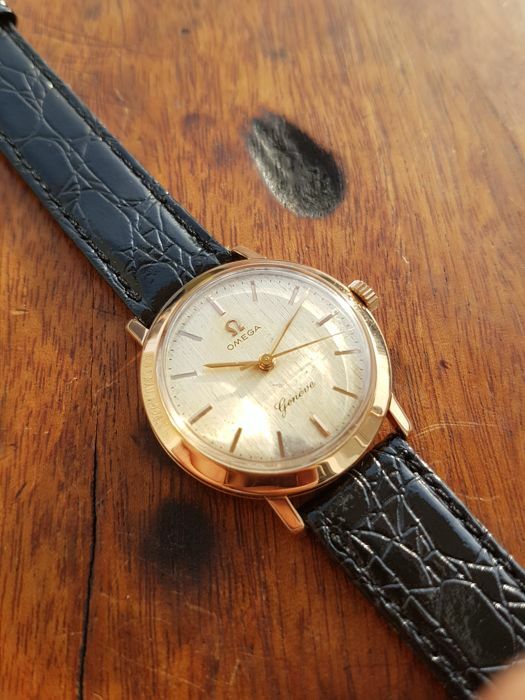 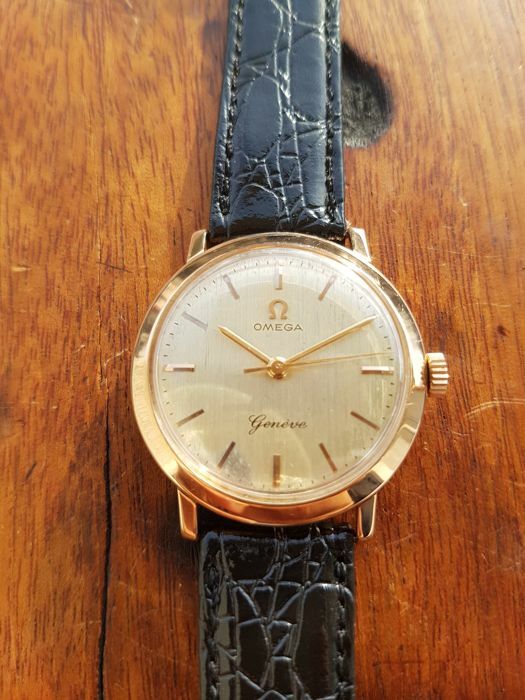 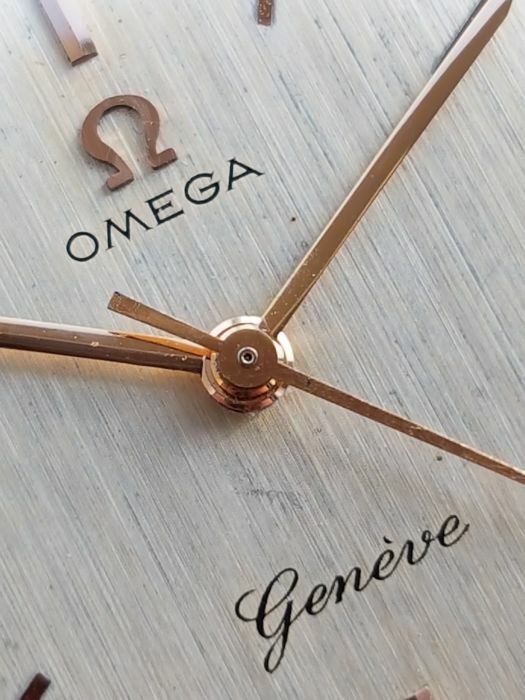 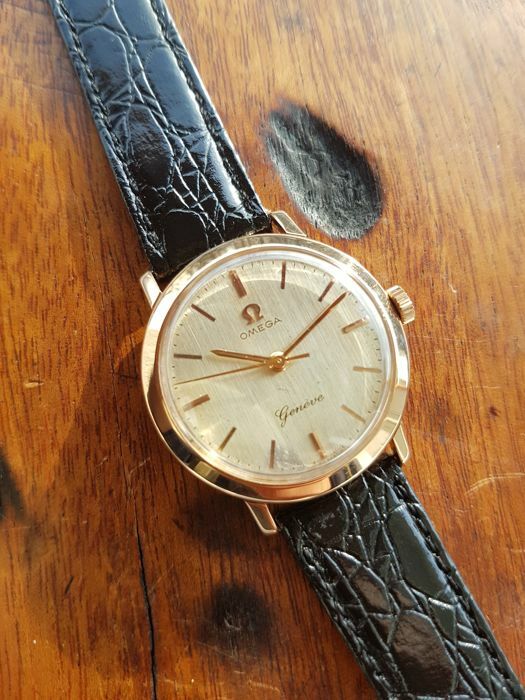 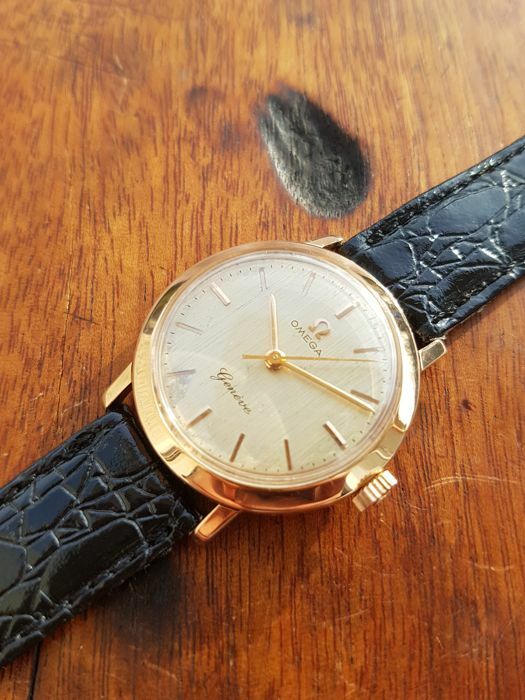 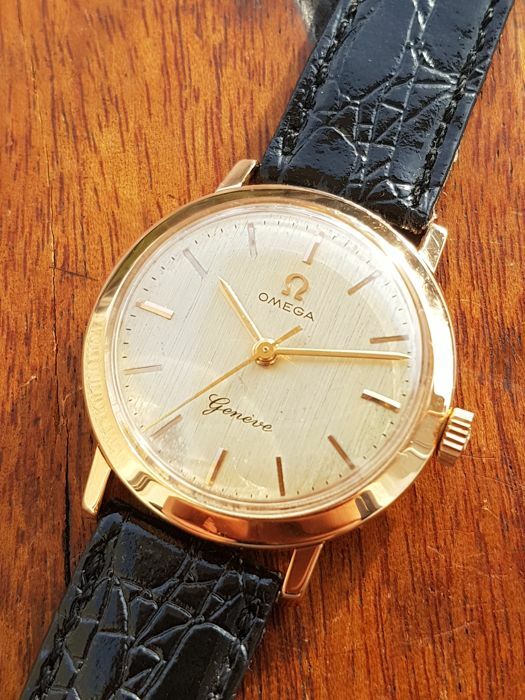 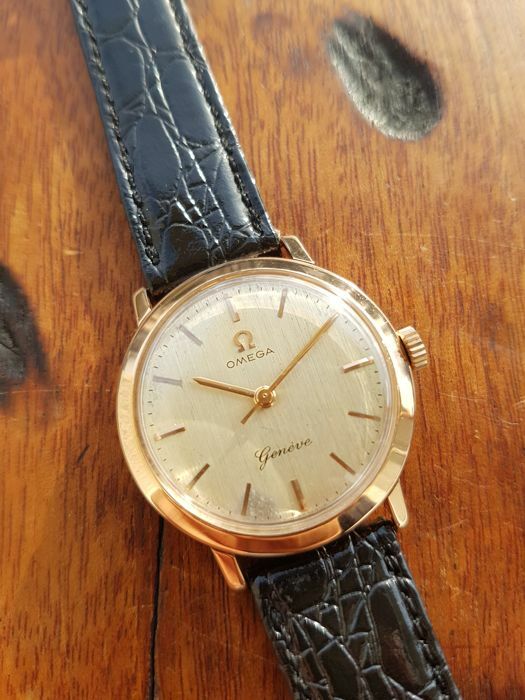 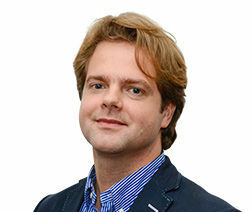 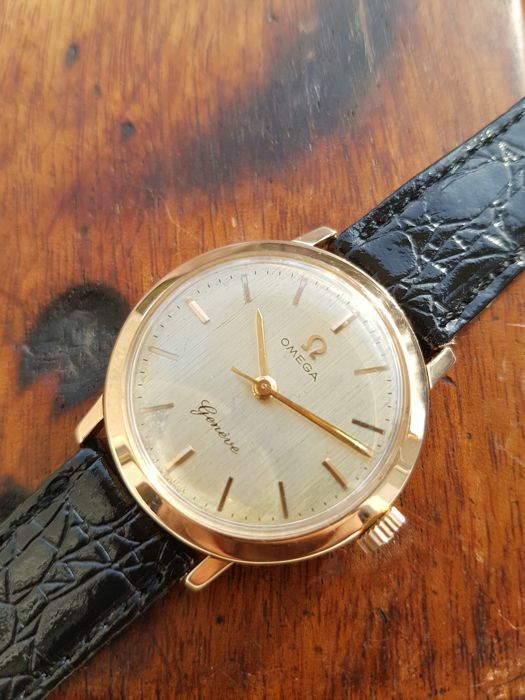 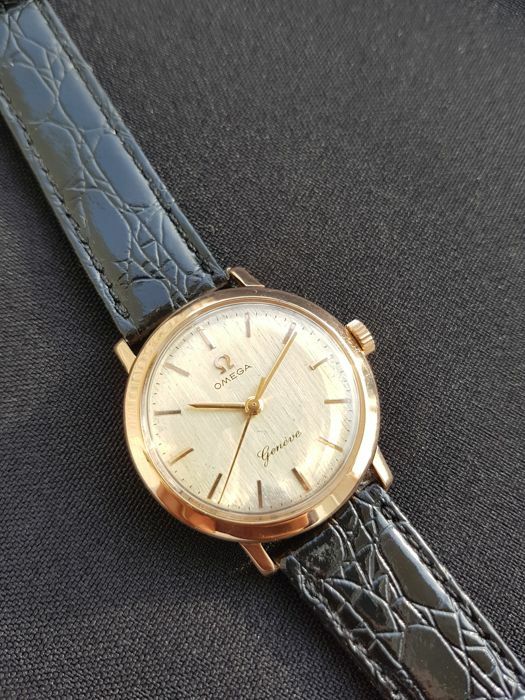 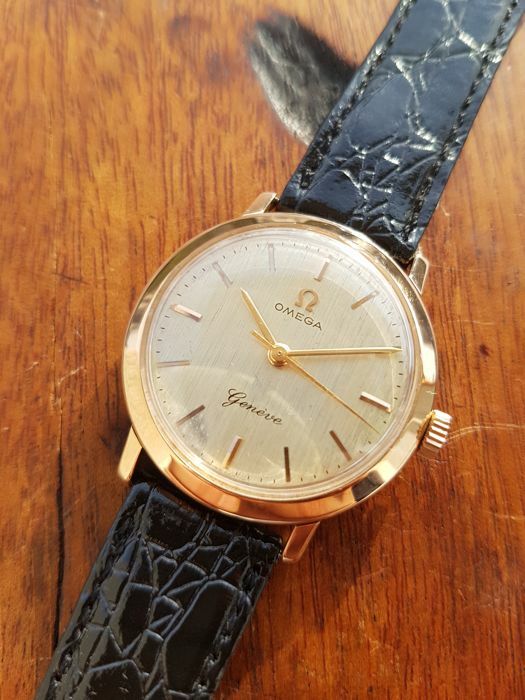 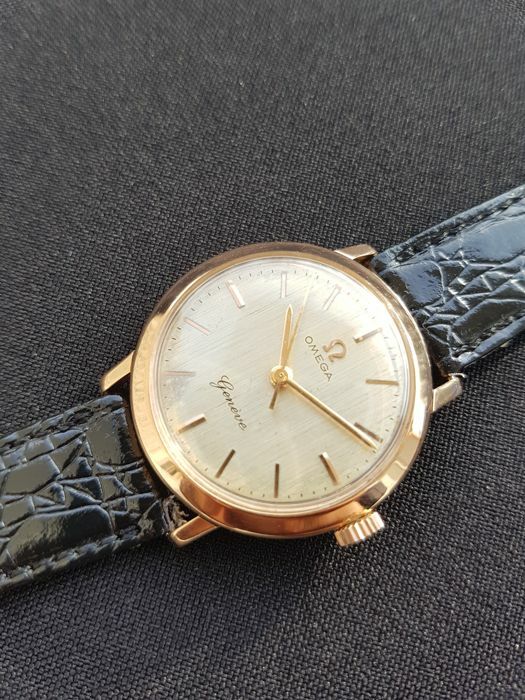 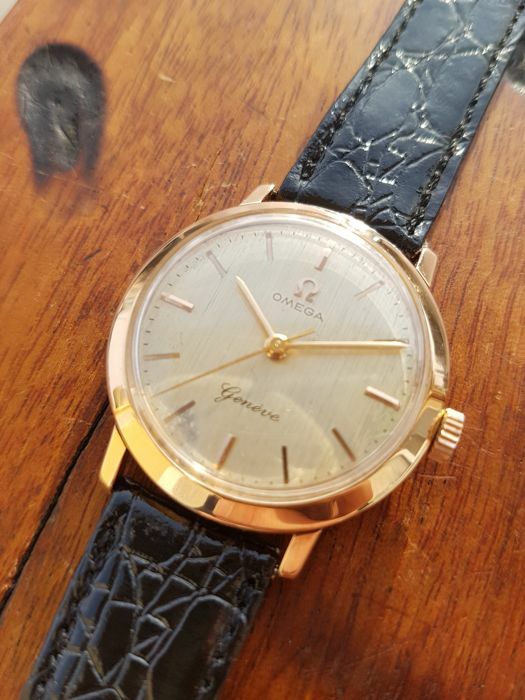 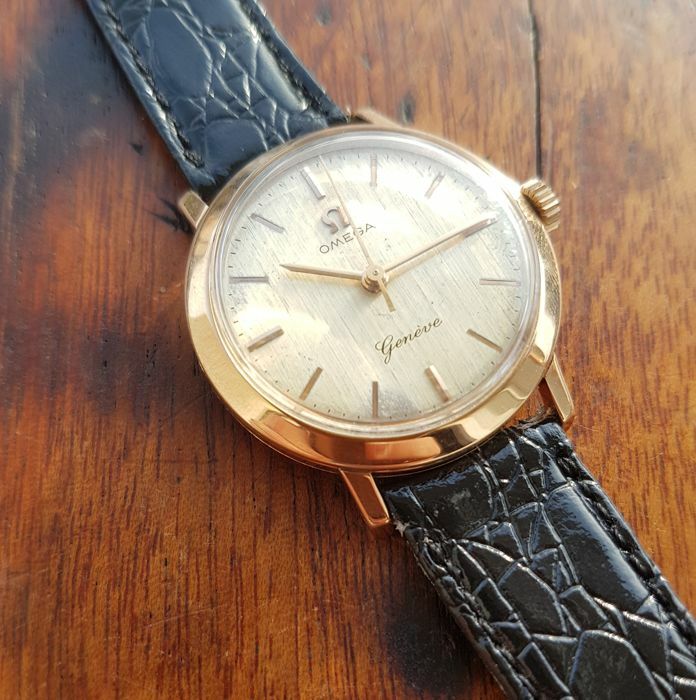 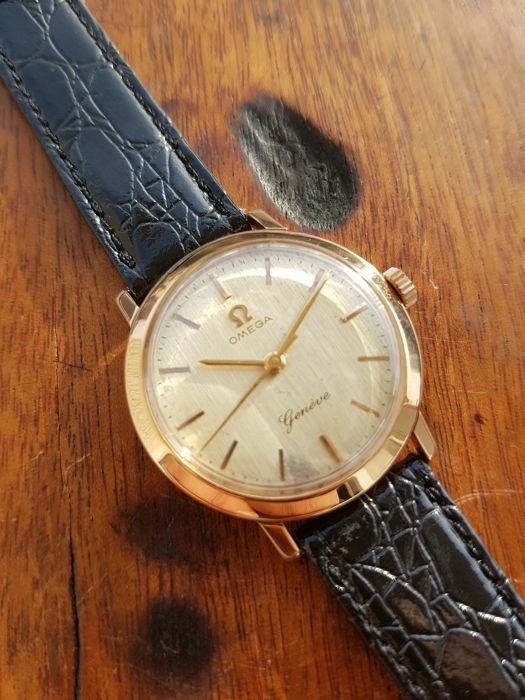 Here is for auction rare Omega Geneve wristwatch from 1964, in solid gold case, with stunning and uncommon linen dial. 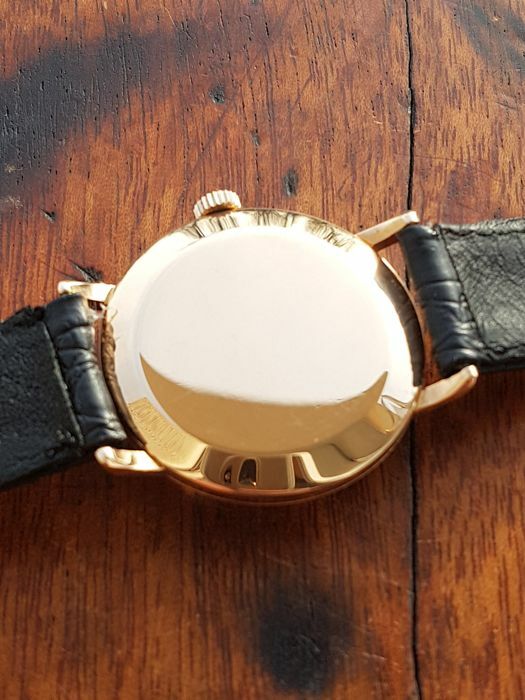 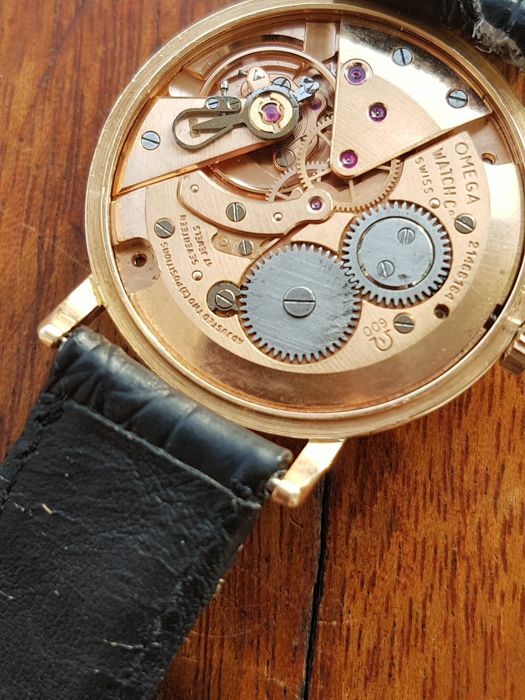 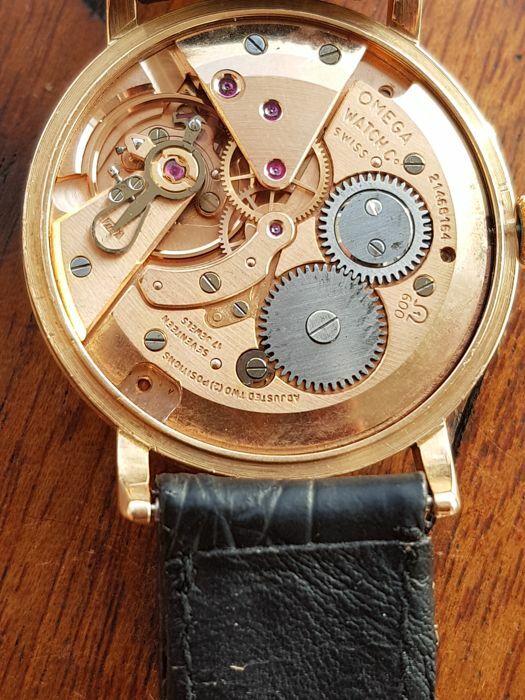 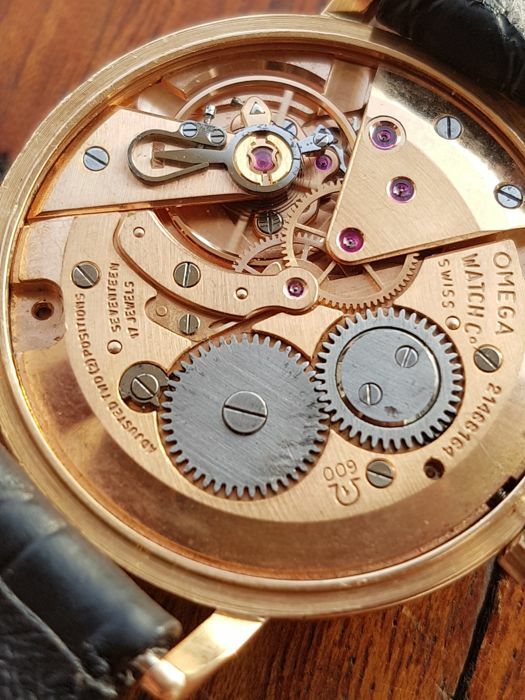 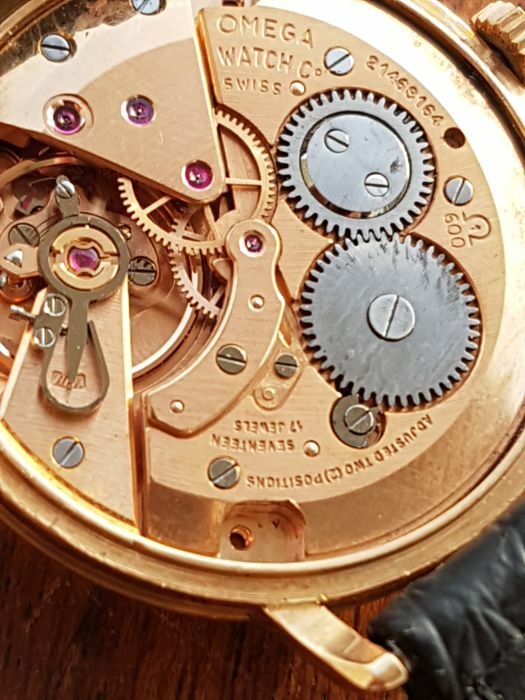 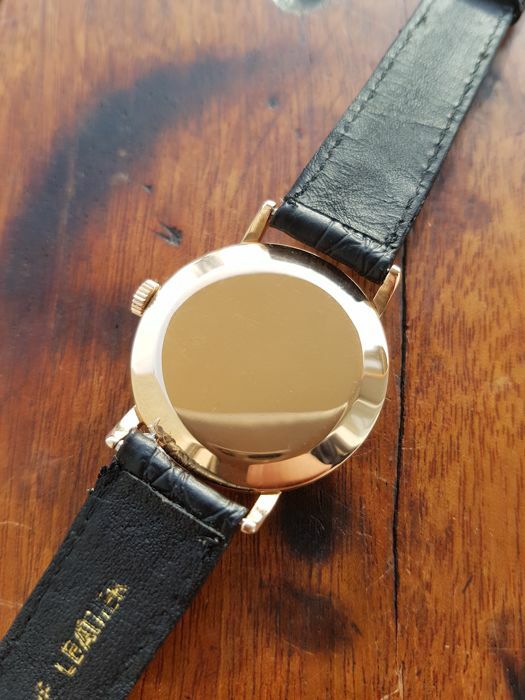 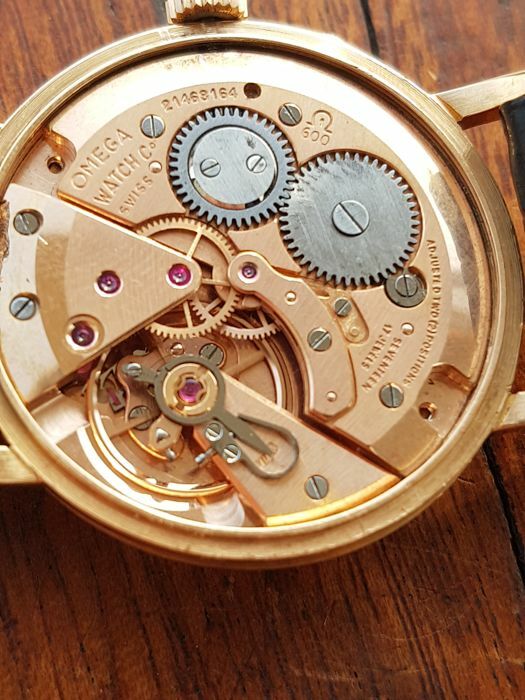 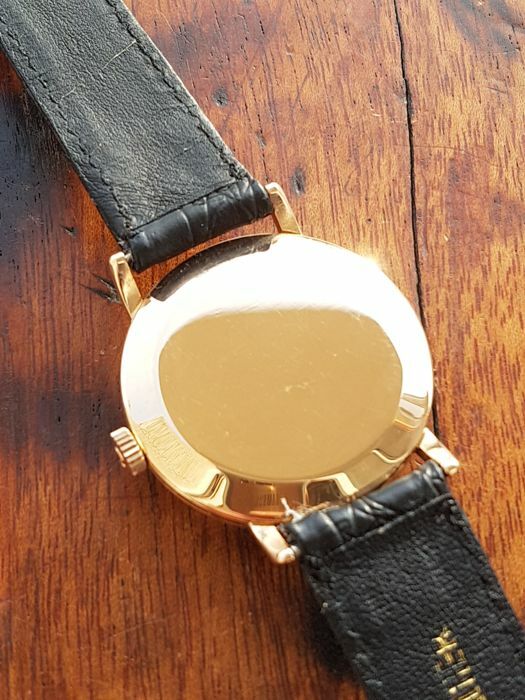 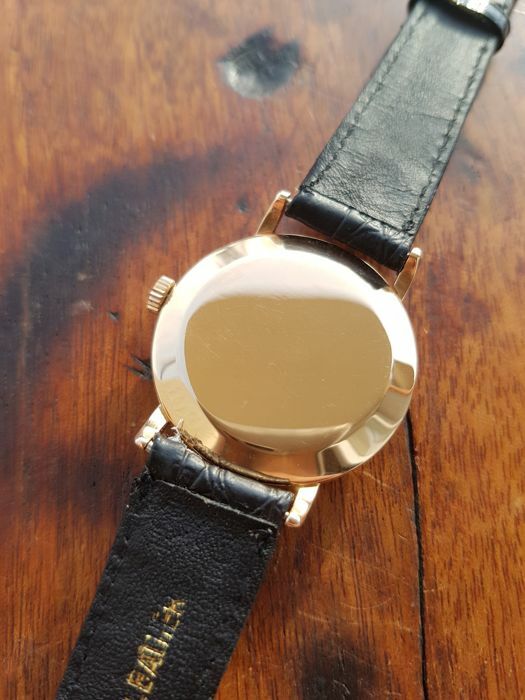 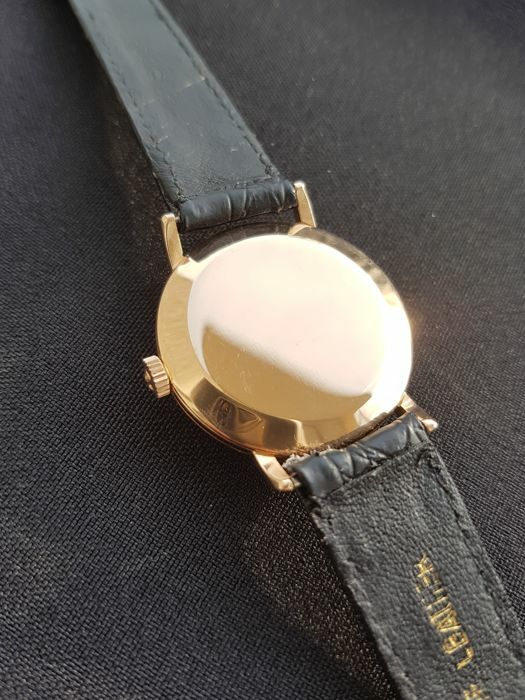 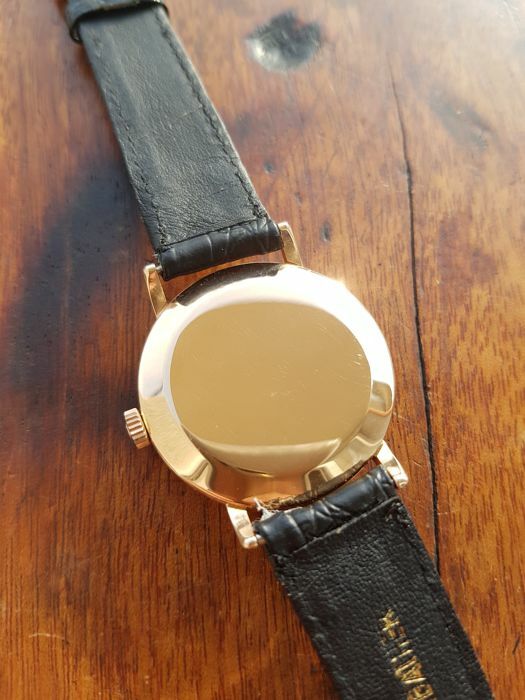 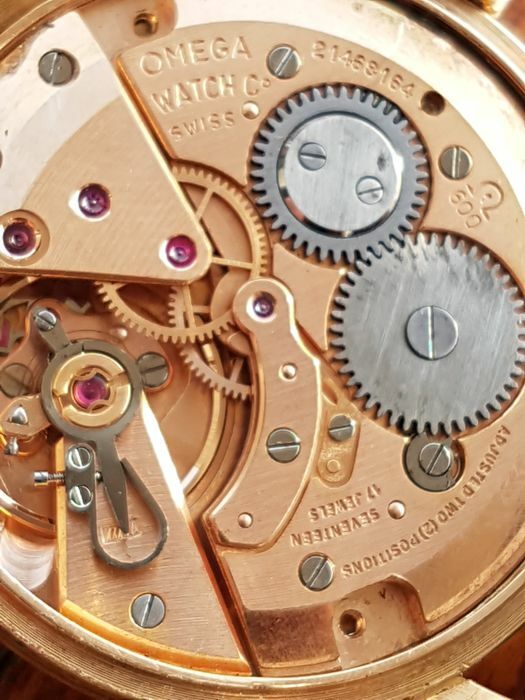 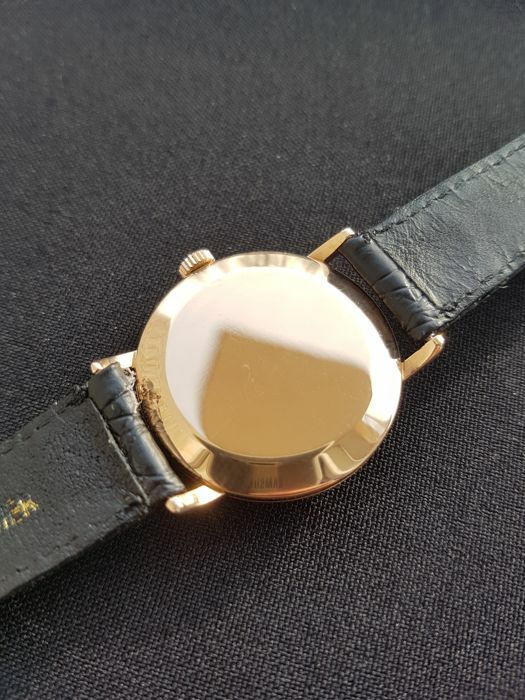 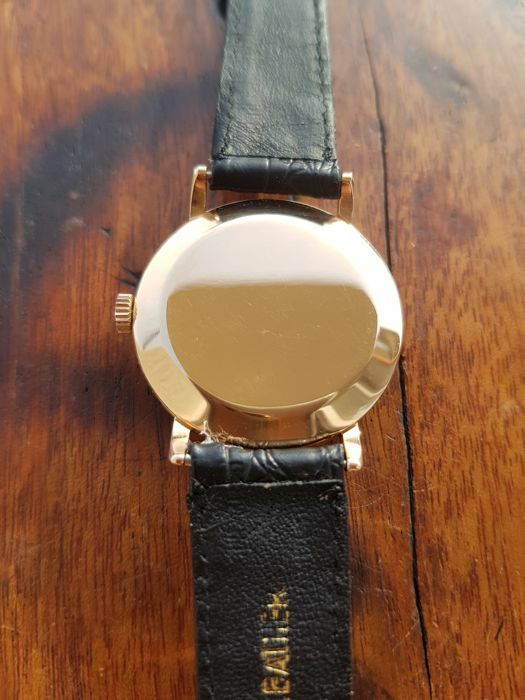 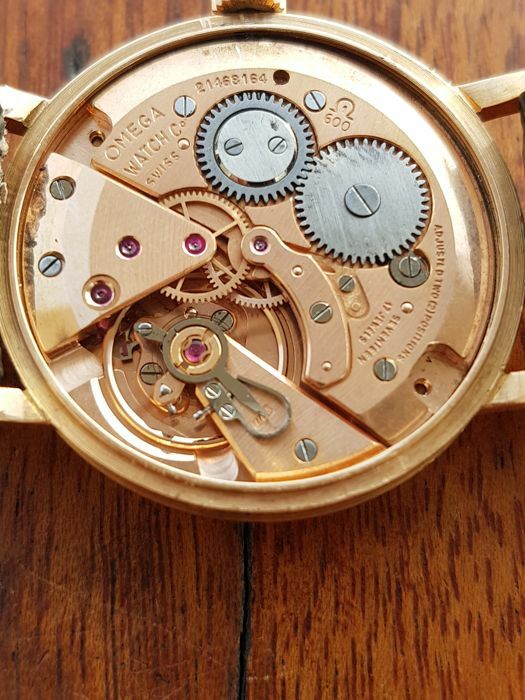 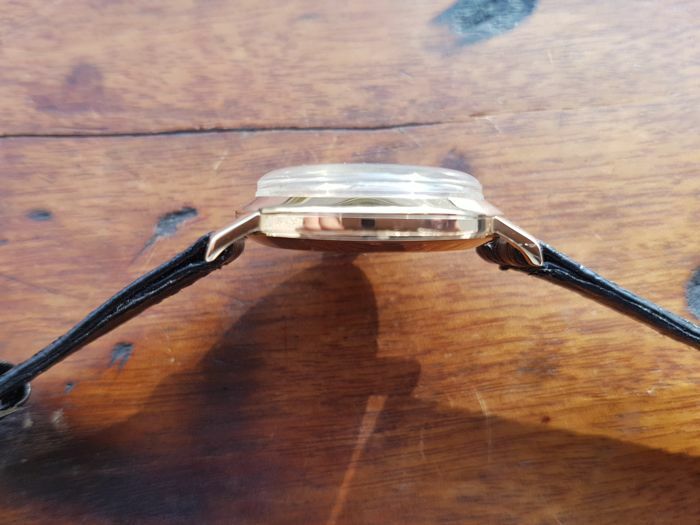 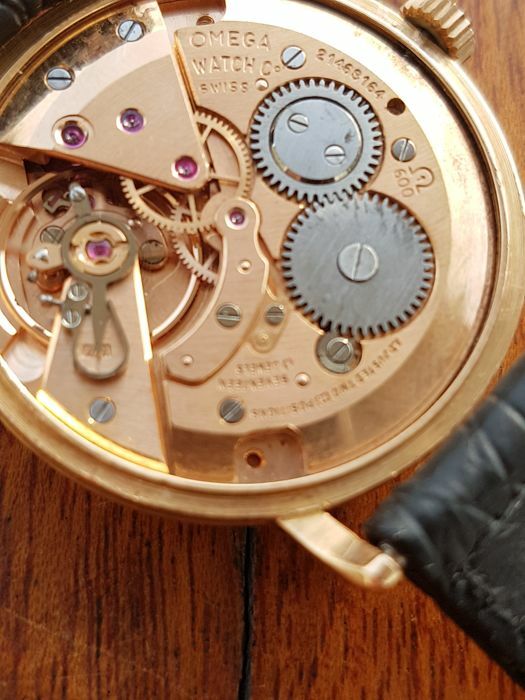 Case is in very good original condition, shows only very small wearing, never restored and retains it's all original bevels, with diameter of more than 31mm and lug to lug width of 35,5mm the watch looks very good on a wrist. 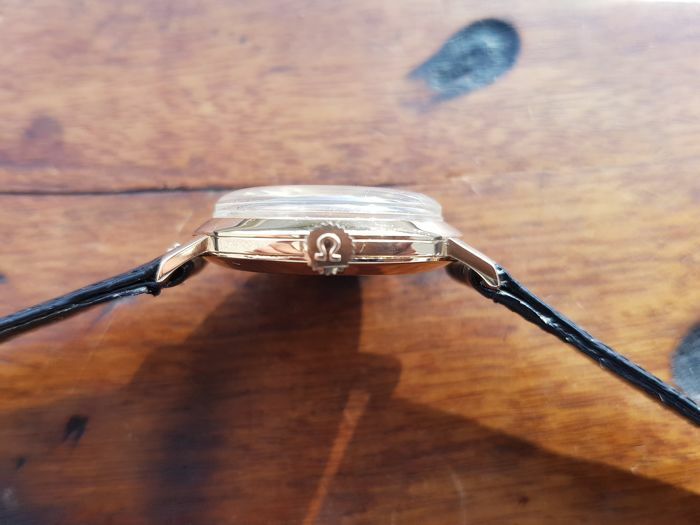 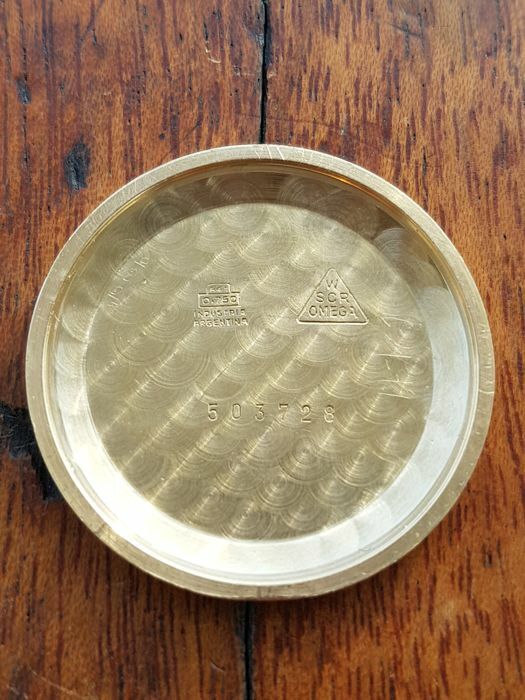 Case back is in very good condition, hallmarked with serial/reference number, Omega logo and gold stamp the inner side. 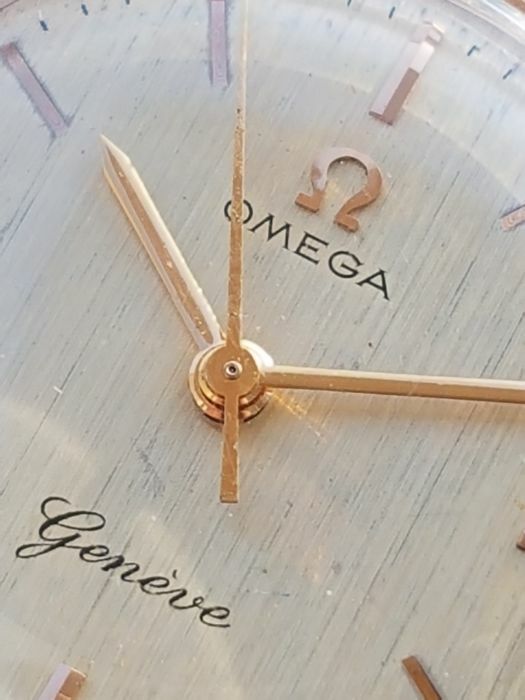 Beautiful silver linen dial with applied golden hour markers is in original excellent condition, never restored or repainted, shows only natural patine, mostly at 7 o'clock, genuine golden hands, acrylic crystal is clear, crown is Omega signed and in excellent condition. 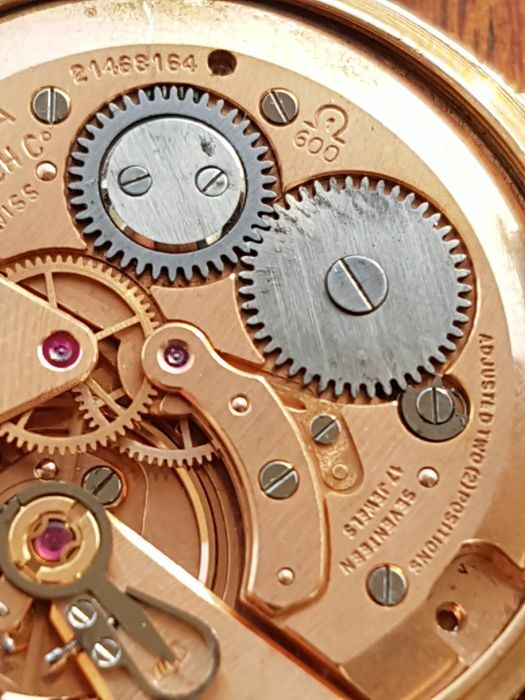 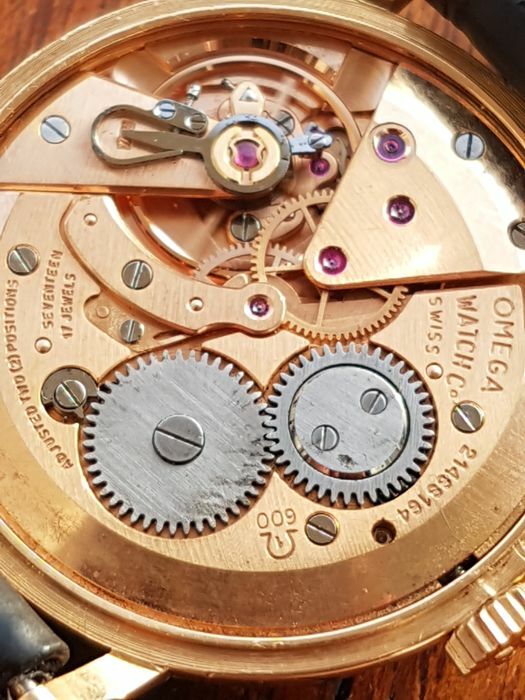 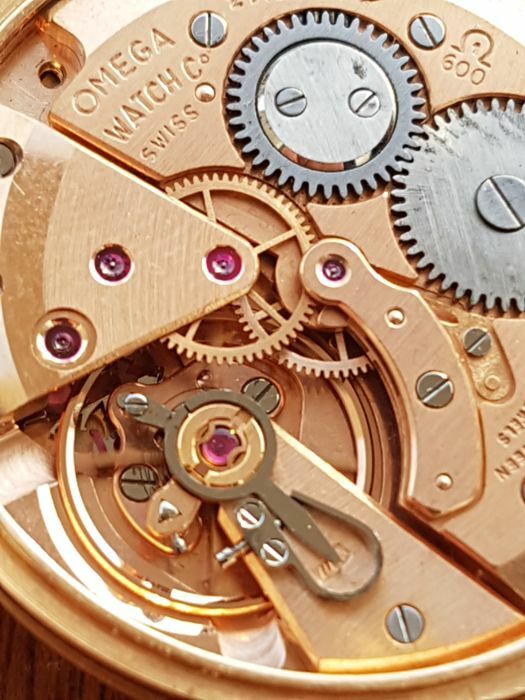 Movement of the watch Omega cal.600 is clean, running strong and keeps accurate time perfectly. 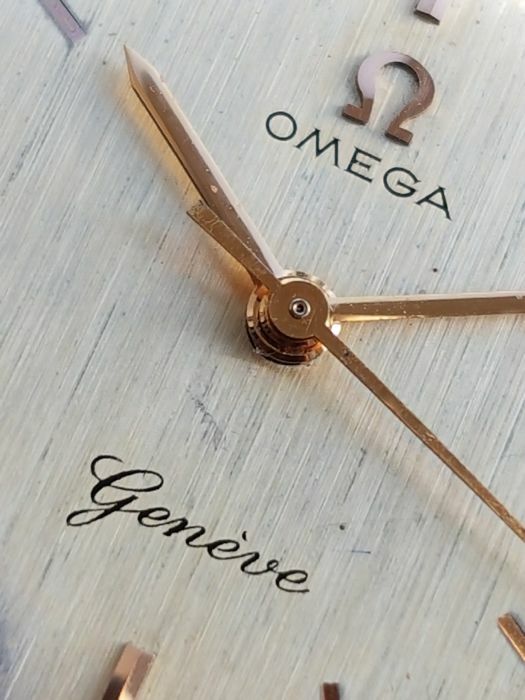 Service was made 01.2019. 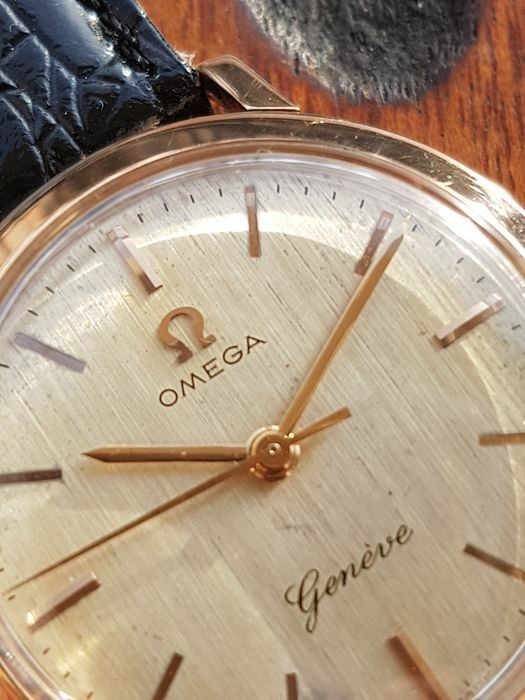 Serial number 21.. dates the watch to ca.1964. 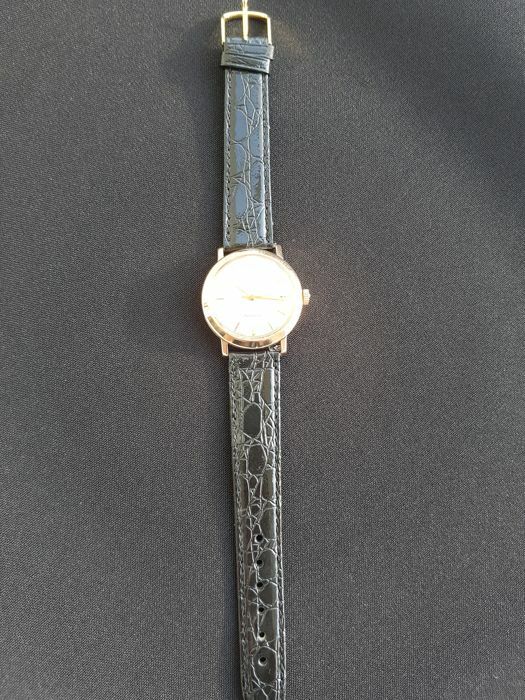 Watch comes with black strap total length ca.18cm.